Bowen & Company hit the road with the James Beard Foundation’s Taste America last fall on a 10-city tour of “Local Flavor Coast to Coast.” We worked with terrific satellite teams across the country to pull off this major undertaking. 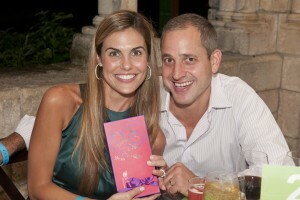 Here is a sampling of the creative ideas that gave each exclusive dining event its own unique flavor. There is a science to getting the chemistry right when designing banquet-style seating, but you still may end up with a table of ten people who don’t know each other. Rockaway PR helped to get the conversation started in Miami with icebreakers for each table, including a game to win a signed cookbook or personalized gift from one of the evening’s chefs. 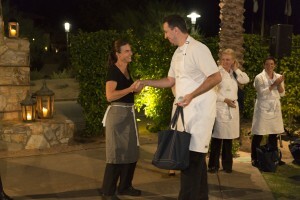 The chef made an appearance at the table to find out who had a special sticker on their menu and deliver the prize. This was a terrific photo op, and gave everyone something to talk about. You dine with renowned chefs, but they rarely sit down at your table. 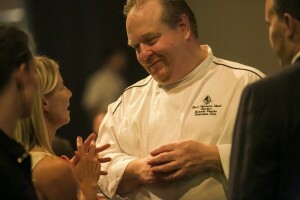 WISE UP EVENTS created “The Chef’s Table,” and invited Boston’s finest to dine alongside guests. Complimented by a meal served family-style, it was a wonderful way to show our appreciation to the chef community much to the delight of the foodie guests. 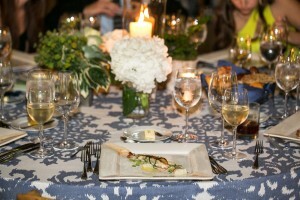 “The Artful Chef” was the concept at Bowen & Company’s NYC event. A great meal is a work of art, so NYC’s chefs were asked to find inspiration in the art world when creating their signature dish. The masterpieces appeared onscreen during the meal. 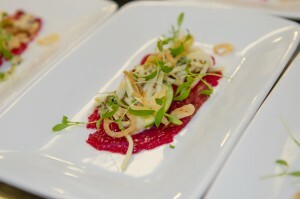 Beet Carpaccio by Carpaccio, anyone? 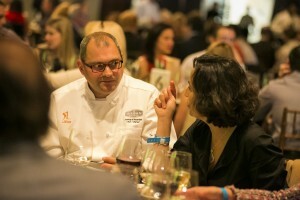 Wagstaff Worldwide wanted the LA event to reflect the city’s unique culinary landscape, from international flavors on the street to an award-winning fine dining scene. 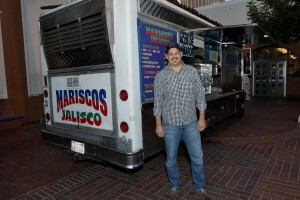 A select group of gourmet and authentic Mexican food trucks pulled up to the outdoor cocktail reception before guests headed into a formal 5-course dinner with the likes of Nobu Matsuhisa and Rick Bayless. 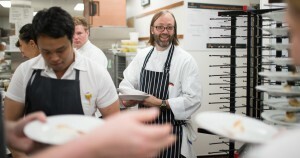 Andrew Freeman & Co. rallied nearly twenty of SF’s finest to cook at the dining event. They asked chefs to cook in pairs to create a one-of-a-kind menu that guests wouldn’t soon forget. 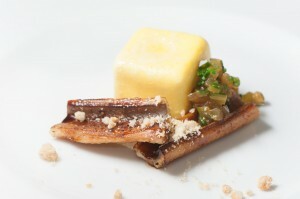 JBF Award Winners Wylie Dufresne and Danny Bowien collaborated on a Scrambled Egg Ravioli with Tea Smoked Eel. When will that happen again? The Gulf Oyster Industry Council generously provided oysters for our events across the country. 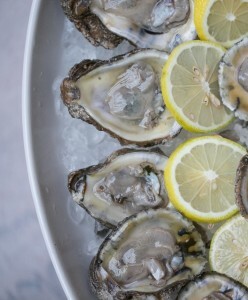 Breslow Partners took a novel approach with Oysters XO. If you didn’t read about them in The New Yorker, these roving shuckers—who are easy on the eyes and schooled in all things mollusk—bring oysters to the people for a fresh alternative to the usual bar. VIP guests in Vegas were greeted by well-heeled escorts who walked them into the party, a nice touch by Barcelona Enterprises. 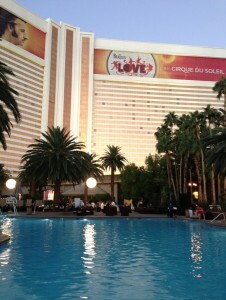 It’s good to be king in Sin City. When planning a fundraising event, every penny counts, and flowers can easily cause your budget to bloom. 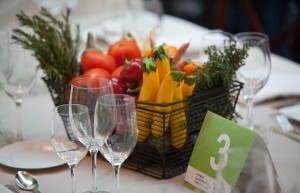 Consider looking to an organization’s mission for a meaningful centerpiece. Fresh produce kept the focus on food with Dufour & Co. Productions in D.C. We’ve seen props work well for a theater, or books for a library. Wagstaff Worldwide kept our “Local Flavor” close at heart when conceiving the evening’s menu. 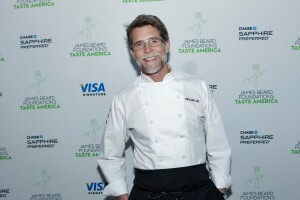 They took the popular challenge approach seen on shows like Chopped and asked chefs to use a particular local ingredient when creating their dish. Delicious, fresh, and right on mission. 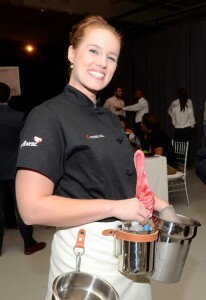 Our planning partner, Robyn Lee, created an Amateur Sous Chef Competition that welcomed a select group of VIP guests behind-the-scenes with our Award-winning chefs. 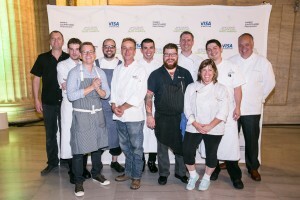 The friendly competition highlighted JBF’s commitment to culinary education and mentoring, as well as creating a profitable new revenue stream for the fundraiser.